Kale (Brassica oleracera var. sabellica): growing, planting, caring. A variety of cabbage, with edible thick leaves, decorative as well as tasty ! 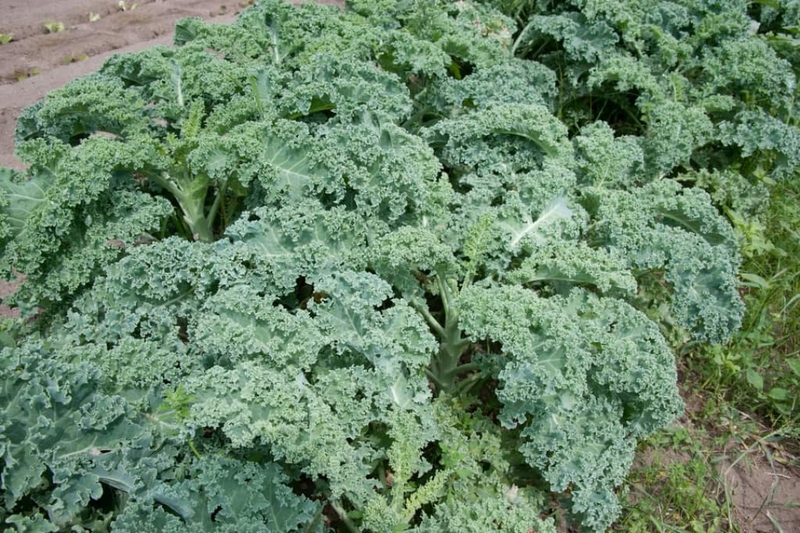 Kale, also known as leaf cabbage - Brassica oleracea var sabella - has green or purple leaves and the central leaves do not form a head as with headed cabbages. They're easy to grow, and you can consume them leave after leave - they are hardy and get even sweeter after a little frost ! Sow between March and July when the soil reaches about 15 ° C, in deep, cool, moist open soil in half shade. Bury seeds one to two centimeters into fine compost. Water after sowing. Plant your kale when they carry at least 3-4 true leaves, in open soil, in loose, cool, moist, rich soil, in partial shade, from February to August. If the soil has not been properly enriched beforehand, put some compost at the bottom of the hole at the time of planting. Plant every 50 cm, soak roots / root in mud to avoid a dry out. Form a hollow in the soil around the trunks and water copiously each plant. Watering this plant is necessary right after sowing or transplanting, and in case of drought. Water in a fine mist after sowing. Avoid to spray the leaves if you can. Cabbages fear drought: mulch them a week after transplanting or planting. During the first week, water a lot, for a better recovery! Your sprouts will take 7 months to mature. Collect them leaf by leaf. After the harvest, tear off the cabbage leaves to make room for other crops.